Author: McGrath, Patrick Set In . . . Description: A man is haunted by the memory of his mother with a rope round her neck. It is the American War of Independence, and having defied the British forces occupying New York she must pay for her revolutionary activities. But fifty years on her son harbours a festering guilt for his inadvertent part in her downfall. In thrusting nineteenth-century New York, a ruthless merchant's sensitive son is denied the love of his life through his father's prejudice against the immigrants flooding into the city - and madness and violence ensue. In the wake of 9/11, a Manhattan psychiatrist treats a favoured patient reeling from the destruction of the World Trade Center, but fails to detect the damage she herself has sustained. 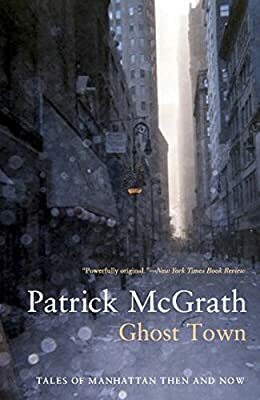 In this trio of stunning tales from a master storyteller, Patrick McGrath excavates the layers of New York's turbulent history.